Commercial law firm Maclay Murray& Spens LLP (MMS) has signed a 15-year lease on part of The Capitol’s fourth floor, occupying 5,049 sq ft of the historic city centre property. The move sees MMS relocate from its current Aberdeen base in Queens Road. The Capitol theatre was left derelict for over five years until Knight Property Group and M&G Real Estate redeveloped and launched the £30 million transformation in April 2016. The team have restored The Capitol back to its former glory, turning it into modern office space which now hosts two blue chip companies including MMS joining PwC in the second quarter of this year. Knight Property Group Director, Howard Crawshaw comments on behalf of the joint owners, “This shows and demonstrates the appetite for occupiers to commit to the property which offers open plan floorplates, thus allowing the tenants to be fully flexible when looking at how to occupy and operate from the space. 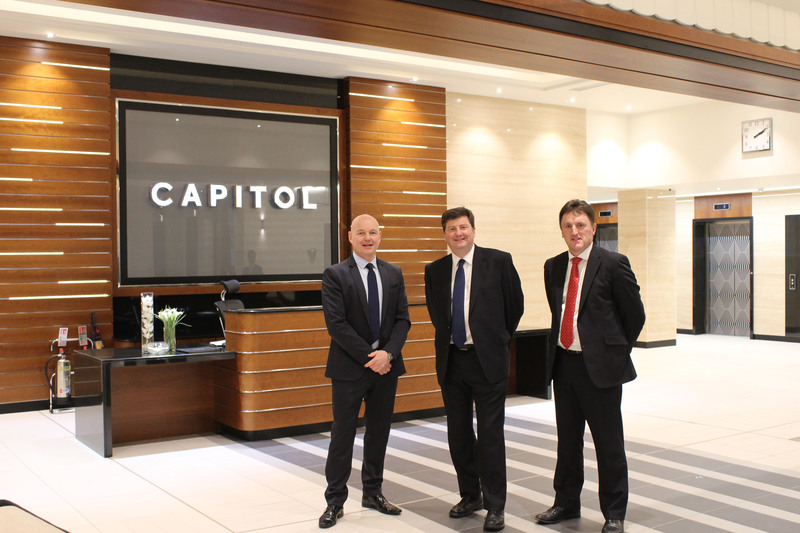 “The Capitol sets out a new standard for Aberdeen business accommodation. Utilising the unrivalled splendour of a 1930’s cinema as its starting point, The Capitol then extends into sensational modern office space with breath-taking views across the city”. Marketing agent and Director at Savills, Dan Smith comments, “This is a great move for Murray Maclay & Spens. The Capitol re-development has kick-started the rejuvenation of Union Street and is a fantastic central hub for the firm and its clients. When fully occupied The Capitol will bring over 700 workers to the area every day, increasing footfall within the area, which will in turn support the local business community.